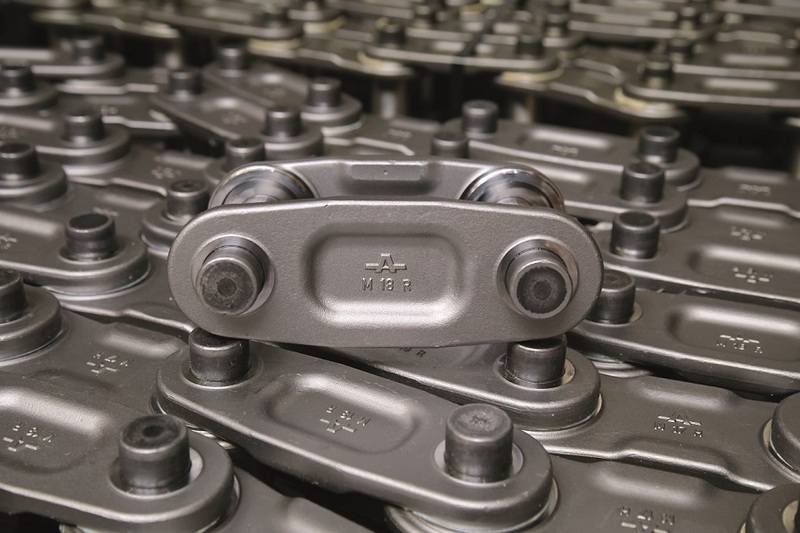 Aumund has designed its chains to meet the demand of heavy production industries. The chains not only meet the strength and wear requirements, but years of refinements to the design also address the unique requirements of a large ball mill circuit bucket elevator or high-capacity steep pan conveyor. The chains consider a wear life based upon actual pin/bushing pressures and the material conveyed, not just the thickness of the wear treatment on a pin or bushing, and the strength rating also considers the fatigue requirements in specific and well experienced applications.